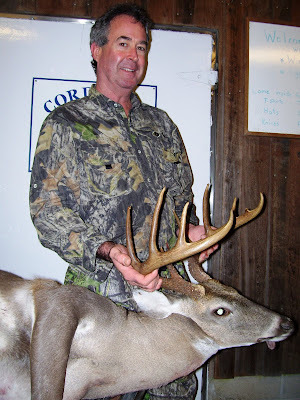 Tony Tyler's buck weighed 144 lbs. and had 7 points. 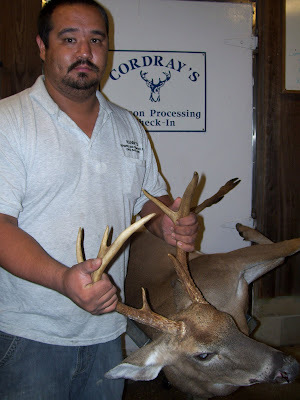 Steven Boyette got inducted into Cordray's First Deer Hall of Fame! More Grooms Farm locally grown all natural pork coming the end of next week! We sure sold out quickly! We've sold all the local Grooms Farm pork we had except for just a little bacon and a couple of smoked hams! 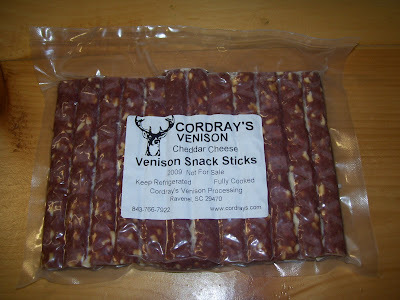 So we've got more coming in next week to be in the meat case by Friday. Will send you a quick note to let you know that it's in! If you came by looking for pork shoulders for barbecue and I had to disappoint you, stay tuned! Everything taken Oct. 26 and before is READY! Come and get 'em! Except, of course, smoked venison or wild hog hams! We're open today until 10 pm! 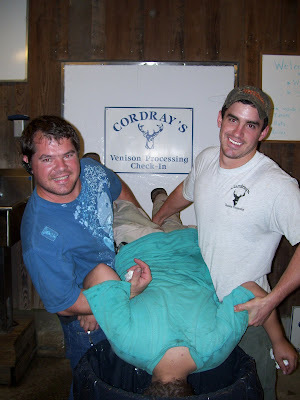 We'll have a few all natural Cordray Farms Beef Sides available between now and Christmas. 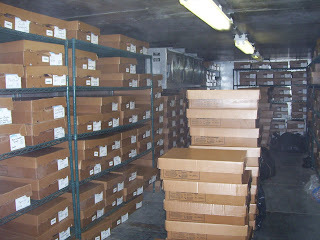 Each side is dry aged at least 14 days and taste tested to determine the perfect cutting day. Then your beef is cut according to your custom cutting order, vacuum sealed and frozen to assure it's perfect for your table. Sides: $3.25 per lb. hanging weight. Custom cut to your specifications. Estimated Side weights: 300-325 lbs. Need help? We can walk you through the custom order process. Do you want all the steaks you can get? Do you use beef for stir-fry? Shish kabobs? Need hamburger in patties or bulk? 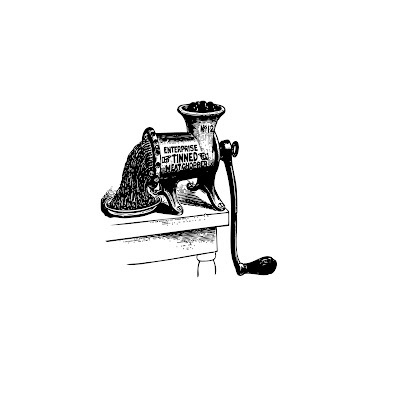 We'll help you determine just what you need. Call us at 843.766.7922 to reserve your side. 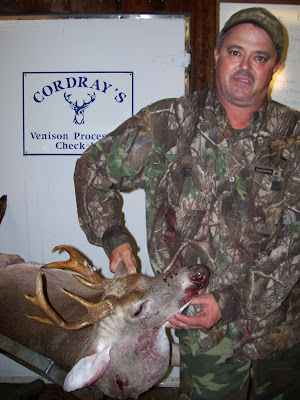 Bobby Boyles got inducted into the Cordray's First Deer Hall of Fame! 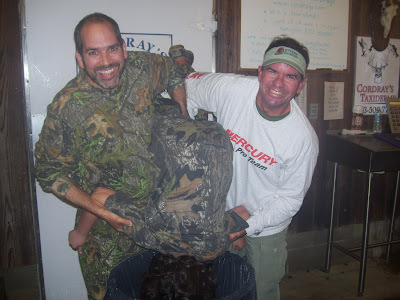 Robert Boyles and Greg Garner helped! This time next week we'll be closing about now! 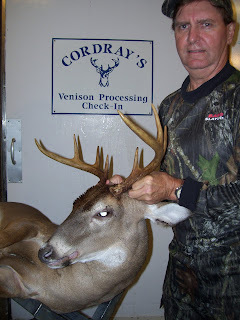 Alan Adams got an 8 point buck. 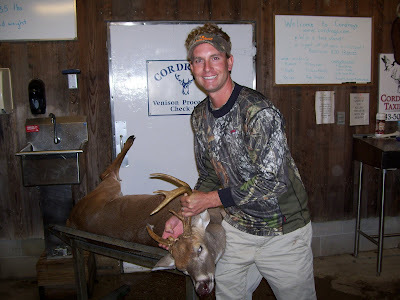 Matt Stanis has a 6 point buck weighing 160 lbs. 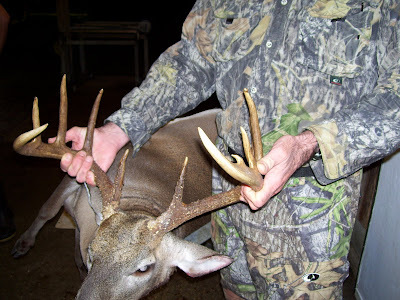 Hank Hofford got this 10 point with a sticker that weighed 156 lbs. A few years back we attended a convention in California and happened to meet the people who supply seasoning for our sausages. They're the same folks that Michael's uncles used to buy from when they butchered cattle and pigs over 50 years ago on their farm a few miles from here. They'd get the meat ready here and then sell it at their meat market downtown on Herriot Street. Michael mentioned that he'd love to get hold to the old recipe they used. The lady at the booth told us that if they ever sold it they'd have a record. We traded contact info and didn't think more about it. A few months later, we received a note from her and a small bag of seasoning. She said she found an index card with the spice recipe in their basement archives. She said that many of the spices were old fashioned and it took her a while to find them, but she'd recreated the original recipe for our review. She got it just right! 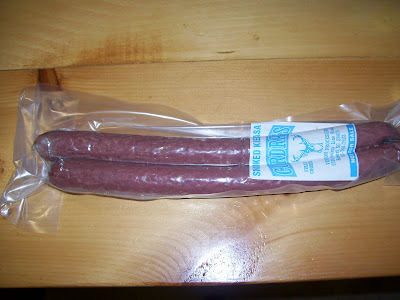 So when you get our Cordray Brothers sausage from venison or pork, you're getting a one-of-a-kind truly old fashioned sausage flavor. It's a little hotter than our medium sausage, but not as hot as hot sausage. Give it a try! 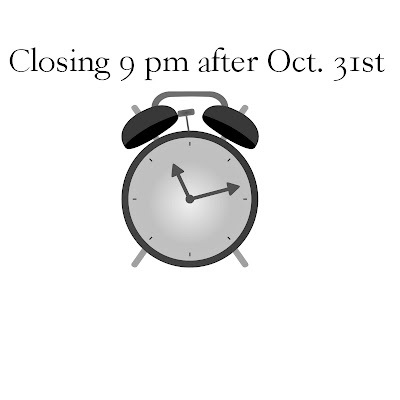 Daylight Savings Time ends and we start closing an hour earlier this Sunday night! 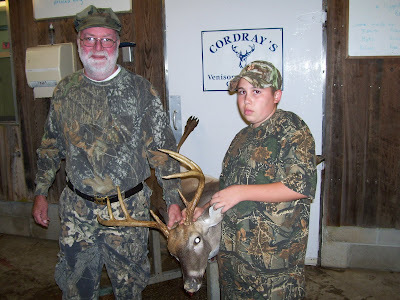 We continue to see big bucks coming in in the morning. This week's somewhat cooler weather and the passing of the front should keep them moving. Not so many reports of moving in the middle of the day, more early morning and late afternoon. 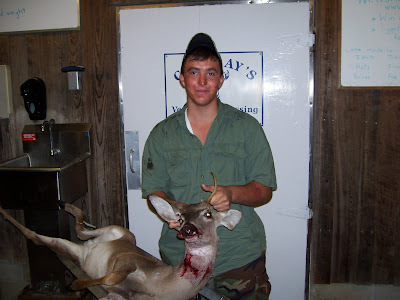 Yesterday I had two reports of folks who shot their deer after they'd assumed the hunt was over and were preparing to come down from their stands. Bucks still showing obvious rut signs from all over the area. 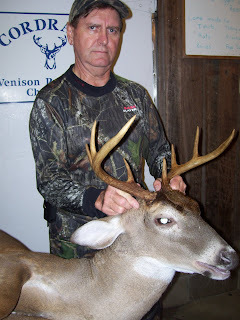 John Destefano brought in this 10 point buck this morning. Buddy and Jennings Schwuchow brought in a 148 lb. 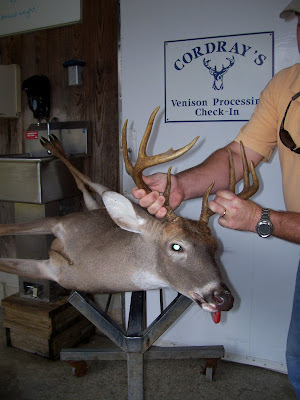 8 point buck. 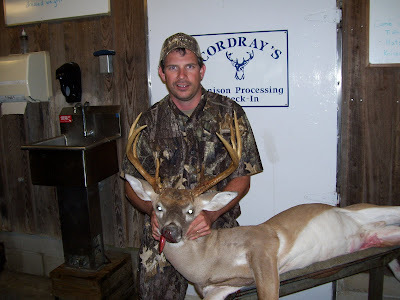 Matt Mills got a 9 point weighing 151 lbs. 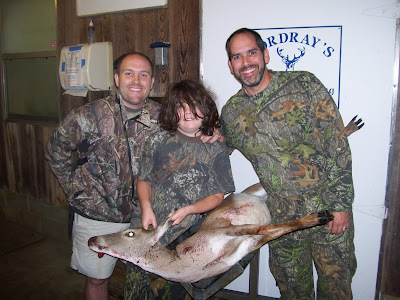 Reed Lawson got his first deer with his brother, David Lawson. Reed was excited about the deer, but not nearly as happy as his brother, David. David's a Marine and is heading out to Afghanistan next week. 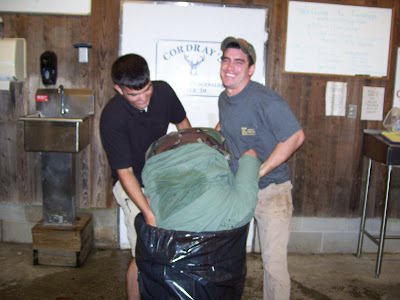 David's been with Cordray's for about 3 years. Our prayers go with him. Our congratulations go out to Reed for his first one! 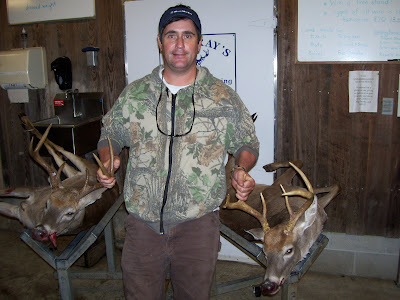 Dan Mikula rattled up a 6 point and a 7 point tonight! 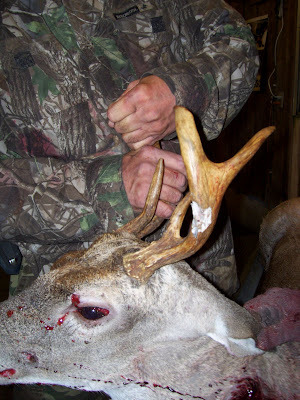 Dee Rozier's 7 point buck had steel buckshot embedded in the antler. 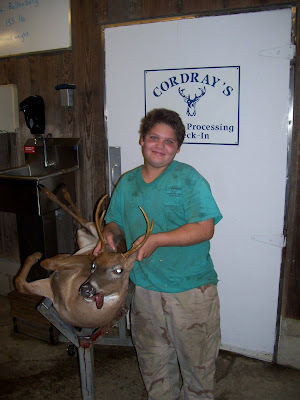 This little guy's parents met at Cordray's when they worked here after school about 5 years ago! Michael claims to be the cupid that brought these two together, but most people think he makes a better Santa than cupid! 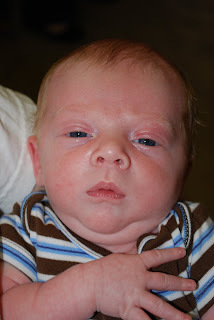 We all welcome this littlest Lonnie! Thanks for bringing him by for us to take a peek.